When you are in the land of Pacific, then the Pacific beach is the destination target. With its lovely beaches and beautiful sights the white sands of these beaches is a major tourist attraction. These very popular beaches are the mainstay of the Pacific region. People come here to visit the Pacific beach and these have originated from the volcanic chain running across the country. The San Juan del Sur beach is the most popular and the most visited of all beaches in this part of the world. The foreign tourist and mainly the people from Nicaragua come to this lovely locale and enjoy the beauty around. they like to indulge in the delicious sea food that you get here and the restaurants alongside the bay cater to all your culinary delights. If you are an adventure lover then do make it a point to go for the diving activities and the surfing pleasures. Besides you can also participate in game fishing. 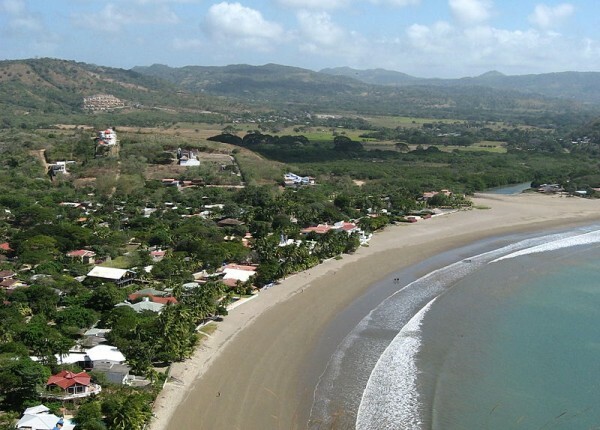 The Pacific beach of La Flor is around 22km from the San Juan del Sur beach and is a place which has a good and exotic natural reserve. Here you can see the lovely turtles of the Olive Ridley category coming back to lay their eggs. This is a great event. Then to se the baby turtles, coming out of the eggs and then scurrying towards the sea is a lovely sight. Playa Maderas is another Pacific beach, which is a major attraction for the surf lovers. This attractive beach is an exotic locale where you could sit back and relax. Majagual beach is another exotic Pacific beach which is situated very near the Maderas beach. This is inside a private bay with beautiful scenic splendor. The serenity here is very much sought out for and tourists love to participate in the swimming and fishing activities. It is accessible by boat from San Juan Del Sur. Marsella beach is located near the San Juan Del Sur. Make way towards these beaches and enjoy yourself. Tola beach is a Pacific beach which is a recent discovery and is the latest getaway spot for people. They love to enjoy the quite ambience and the beautiful natural surroundings. Here you would find the secluded beaches amidst the greenery around. With affordable hotels and easy accessibility this Pacific beach is a must. The Pacific beach La Boquita is a lovely locale a little away from Diriamba. This has good tourist facilities with bars and hotels. The rocky terrain of the beach and the sunny ambience is an ideal place for swimming. Situated around an hour from Managua, make time for this beautiful Pacific beach haven. Have you ever seen twin beaches? Well, see the beaches at Casares and Huehuete and get double pleasure in the same place. Mainly inhabited by fishermen make sure you have a fishing trip here. With all these Pacific beaches that you could visit why should you not make this a part of your tourist destinations and just enjoy, relax and get rejuvenated?